It’s a new year and almost the first month has come to an end. We hope you have had a great start to 2017 and that it turns out to be a year filled with lots of fishing ,paddling and outdoor exploring.The factory is finally back into full steam ahead with us being closed over the end of year break it always takes a few weeks to get the systems rolling effectively. This year is an exciting year for us with some plans and some awesome new products and even a new line that we are looking into. This newsletter I touch on a few new products and will try to keep you all updated as we explore even more and bring them into full production. After a flying start to the game fish season we had a few not so perfect weeks of weather and things slowed down a little.The Dorado arrived in force and even a video of one being caught from the beach was doing the rounds.They are still around and some natal snoek and yellowfin tuna are also being caught. It is that time of the year again when we renew UKFC membership and start with the club get together. First up we have the annual dinner/get together and prize giving.This is on Thursday night 2nd February at the new Umhlanga Ski Boat Club.If you think the club might interest you this is the night to come and meet some members and join in the fun.You can also sign up to join the club then if you want. Following that on the weekend of the 4th of February we will be having the first of our clinics.This clinic is on paddling technique, launching and beaching.It is Free to all club members.If you are a non-member and wish to join in the clinic it will cost you R300 and for that you get Free membership to the UKFC for 2017. Next up is the weekend of 10 – 12 February where we will be hosting the Cape Vidal get away. 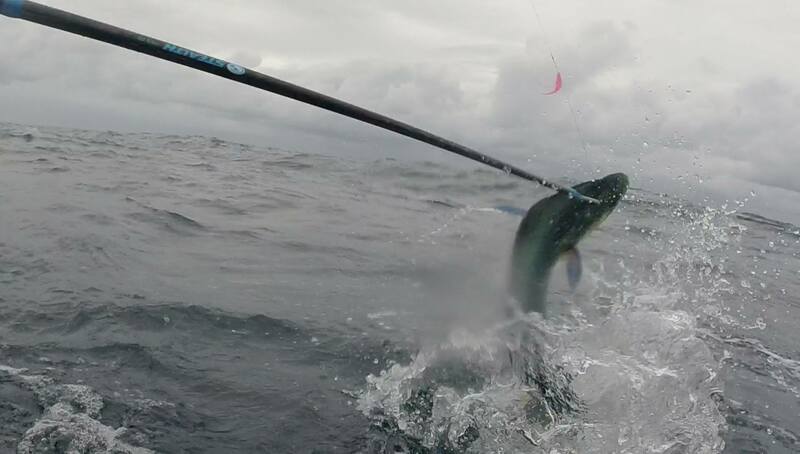 The annual UKFC Cape Vidal weekend is not to be missed and is only open to UKFC members. The entry fee is only R300 and this includes your camping fees and 4 meals. 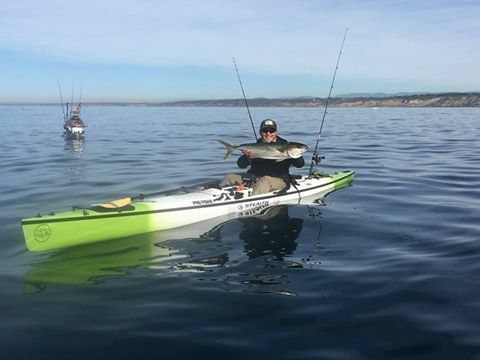 The Kayaks have been selling well and the legendary Griff has been getting some epic catches along with a few of our new customers and friends. Griff has been catching some nice Kingfish and Snapper while also getting to explore all sorts of new spots and places.Don’t hesitate to drop him an email if you want to demo some kayaks,ask some questions or even join in on some of the fishing adventures. Just before Christmas the latest shipment of kayaks were unpacked.In this container there is the first batch of the new 2017 Profisha 475.There is more info on this in the product news.Also the first few Toura 17 kayaks are available.We are in the build of the next container for Dennis so if you have some special requests now would be the best time to contact him. 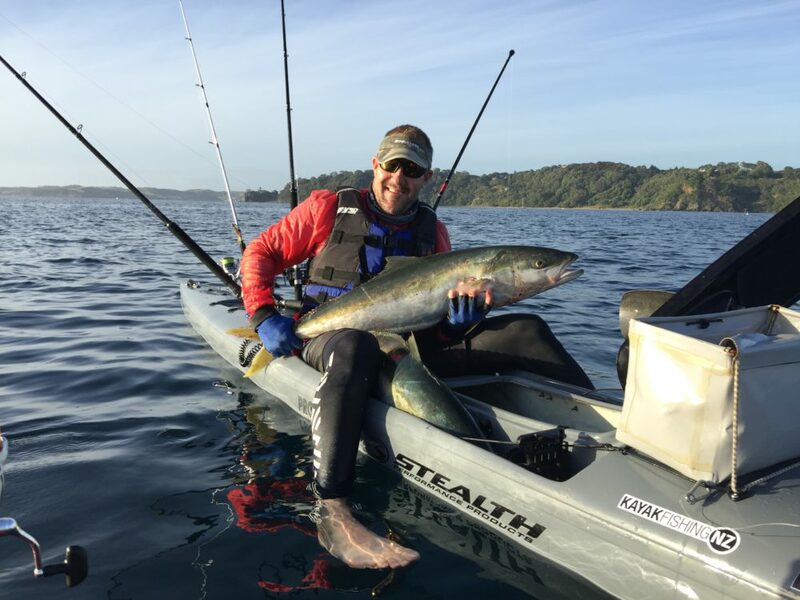 There have also been some great catches recently and a very successful Noosa kayak fishing comp,In fact this months angler of the month is from Australia. 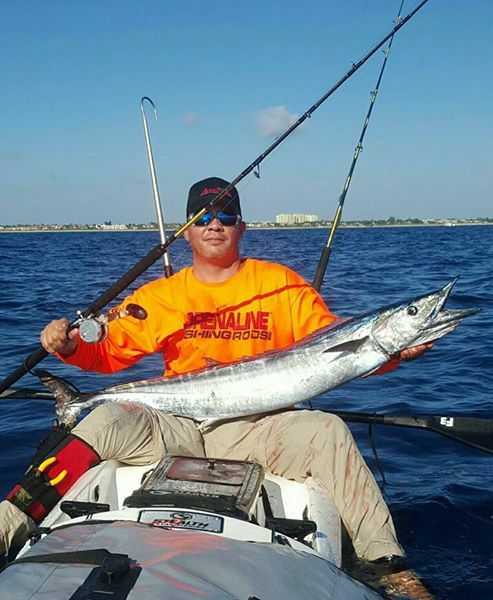 Although it is the colder time of the year up in the north it is almost time for the extreme kayak fishing sailfish slam and over the December break the current EKFT champion Robinson Rodriguez managed to catch a nice Wahoo from his shiny new Stealth kayak. Another new customer J Obed Nguyen over in California wasted no time at all on his shiny new stealth and landed this great fish from his Pro fisha 575.Well done guys on some great catches. Contact Fred York in Florida or Dan Arbuckle at headwaters kayaks in California for more info,pictures or any questions you might have. Over the next few months you will notice a few changes in Europe as a few new dealers and areas open up. Soon we will have a new agent in areas like Spain and Sweden.In fact Joel Abrahamsson is our new Swedish agent and is busy rounding up some orders for his area. 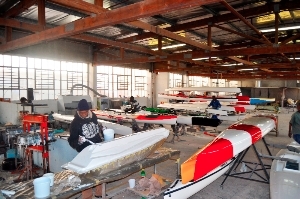 The good news on the UK is that I will now be assisting with the UK for all orders, enquiries, spares, parts or accessories.We have established a partnership in a warehouse for sales and distribution.This means the kayaks will be more readily available – some stock and also some spares and accessories. We are currently putting together an order of various kayaks and if you are interested in joining in on the order you may contact myself for more in depth details. Recently we did a video on our Surf Fisha kayak and you may watch it here. Production after our end of year break is now back into full swing and our orders have been going very well.some of the models are extremely busy and production times at the moment are unfortunatley a little long but as they say all god things take time. Warren is an avid kayak fisherman from the East Coast of Australia.Recently he had a dream morning on the water where he managed to not only catch and release a sailfish but he also then landed a good size Spanish mackeral and a Cobia. What a legend and great morning on the water and there was no doubt this was my Catch of the month. 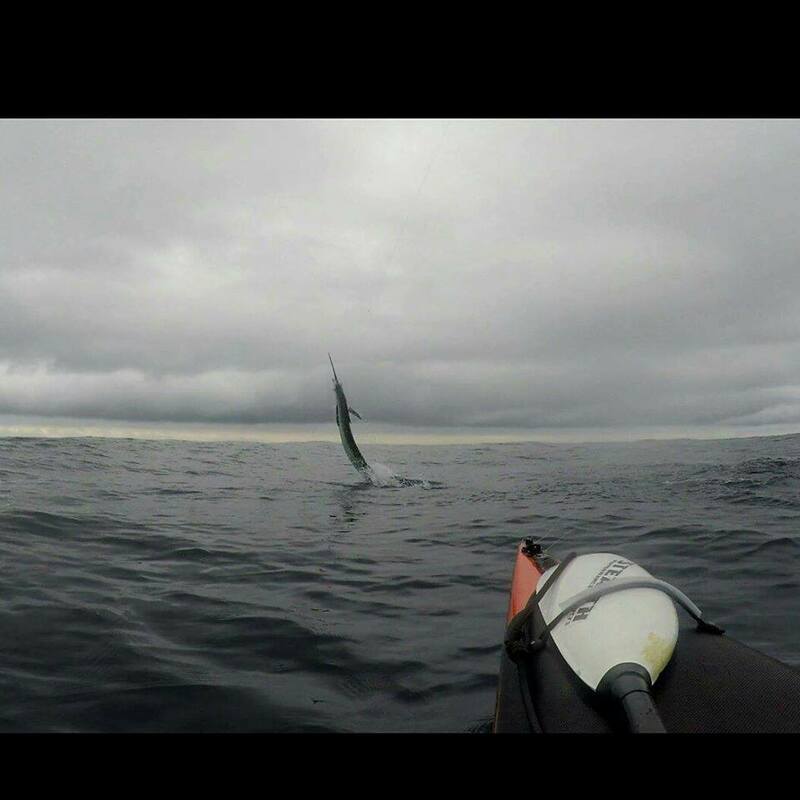 Here is a link to his sailfish video as well. First of our new products is the floating fibreglass fishing gaffs.These are the ultimate in kayak fishing gaffs and work extremely well. Then we have the updated and upgraded Pro fisha 475. The 2017 model is now in full production with some nice new upgrades and changes.We have added super comfy moulded carry handles with a recess for extra comfort.The fish hatch entrance and footwells have now been standardized across the range so all our kayaks now have the same fish hatch lid and recessed footwells.These give you fa little extra width and comfort.There is a little extra stability over the original 475 and the internal fish hatch was adapted along the lines of a fisha giving it some more storage space. Lastly we have added the Toura 17 to our kayak range.This kayak is the first in our new touring line and has a kick up rudder system like in all touring kayaks.A sit on top configuration with self draining cockpit area.Very large front and rear storage hatches.and a few other nifty features. Over the next few weeks i will update the website with these new upgrades and additions.